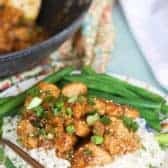 Incredibly quick and easy Teriyaki Chicken recipe is a weeknight dinner winner. 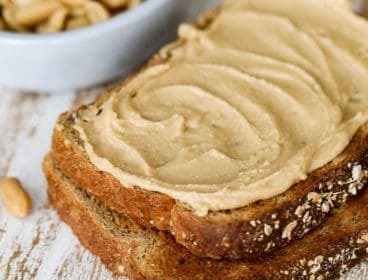 Ready in minutes, this simple take out classic is made with just a few ingredients and is faster than delivery. I love great Asian inspired dishes, like Shrimp Stir Fry with Zucchini Noodles, Cashew Chicken Stir Fry, Beef and Broccoli and the very popular Easy Mongolian Beef. I’m a fanatic for Chinese take out and lived on it for years. The delivery driver knew me by name if I ran into him on the street he was at my house so often. It was a little shameful, especially since I totally know how to cook! So, I decided, years ago, to start making my favorite take out dinners at home and I’m so glad I did! Quick and easy, Chinese take out classics are super speedy to get on the table in less time it takes for the delivery guy to get to the door. 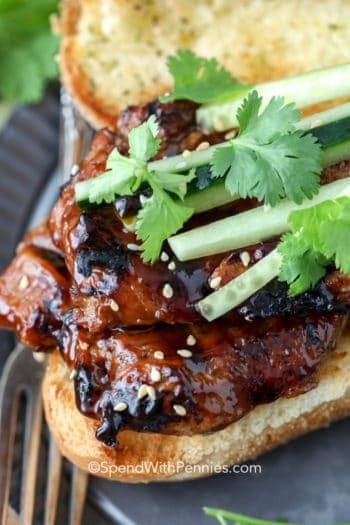 This Teriyaki Chicken recipe is no exception! So what is Teriyaki Chicken? It is a common Japanese dish that’s popular in a lot of restaurants. Teriyaki is a Japanese cooking technique where the chicken is broiled or grilled with a teriyaki style glaze made of soy sauce, mirin and sugar. 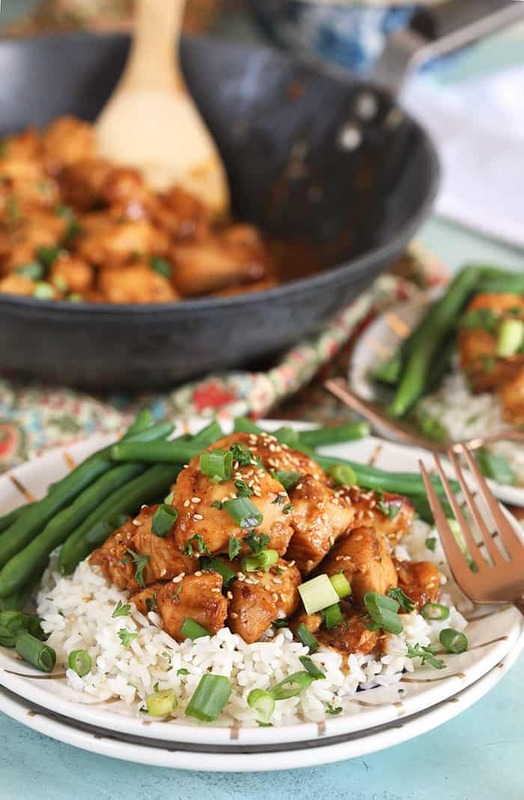 For this Japanese chicken Teriyaki recipe, we simplified the process by stir frying the chicken in a teriyaki sauce which caramelizes and creates a golden brown, crispy exterior on the chicken, which is simply addicting. 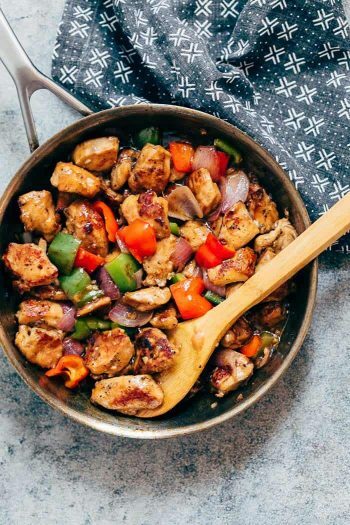 To make this easy Teriyaki Chicken stir fry recipe, first you need to make the chicken teriyaki sauce. 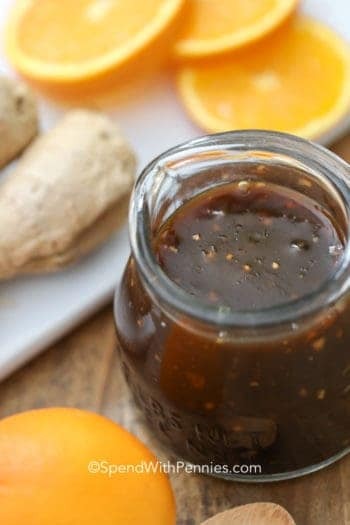 Using my favorite Teriyaki Sauce Recipe, it’s so easy and only takes a few minutes to whip up this easy sauce, which doubles as a teriyaki chicken marinade. What is Teriyaki Sauce Made of? This easy sauce has sweet (brown sugar), salty (soy sauce), and loads of flavor (ginger/garlic). If you’re short on time, you can substitute with a bottled teriyaki sauce. Cut the chicken into bite size pieces and toss in the teriyaki sauce. Sprinkle the coated chicken pieces with the flour and toss to coat. Brown in batches in oil until golden brown and cooked through. Deglaze the pan with orange juice and scrape up the brown bits on the bottom of the pan (this is where the flavor is). Return all the cooked chicken to the skillet and toss with the remaining sauce. Garnish and serve. 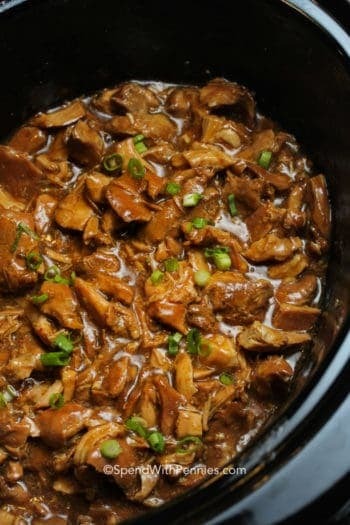 Slow Cooker Honey Garlic Chicken – set it and forget it! 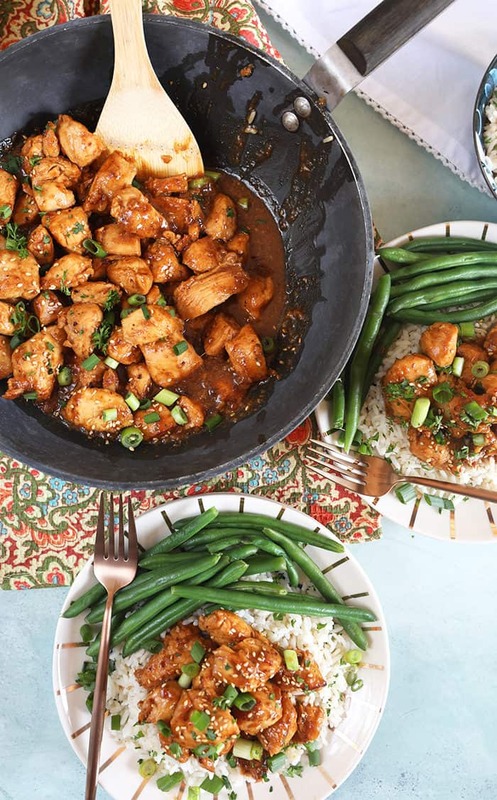 If you want to make this meal ahead of time, you can cut up your chicken and store in a zip top container or bowl with a bit of the teriyaki sauce to marinade a bit. This will only boost the flavor of your already awesome Teriyaki Chicken. And definitely don’t skip the orange juice when you deglaze the pan. The orange juice helps to offset some of the sweetness often common in Teriyaki Chicken and helps thicken the sauce. It also releases all the brown, caramelized bits on the bottom of the pan which just takes the sauce to another level of awesome. 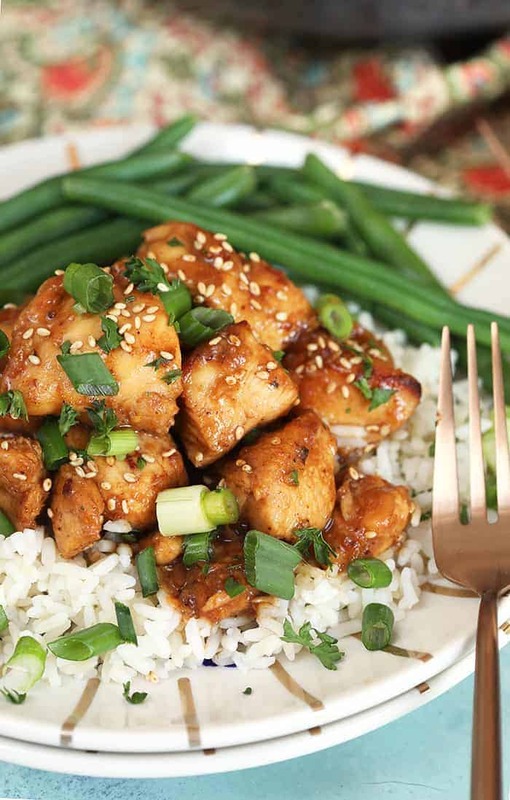 Once you’ve learned how to cook Teriyaki chicken at home, you’ll never order take out again! 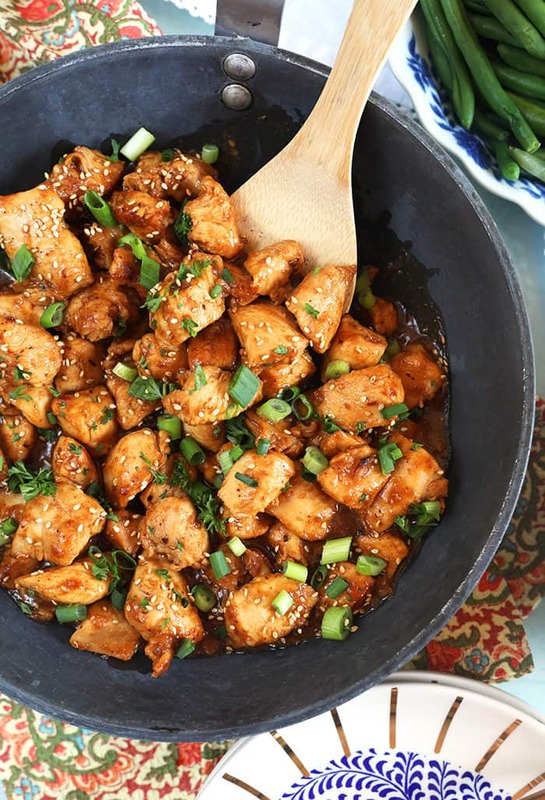 Quick and easy, Teriyaki Chicken is simple to make at home with just a few ingredients you can keep in your pantry. Add 1/4 cup teriyaki sauce and the chicken to a bowl. Toss to coat. Whisk together the flour, salt and pepper. Sprinkle the chicken with the flour mixture and toss to coat. Heat the oil in a wok or large skillet over high heat. Add the chicken to the pan in batches being sure not to crowd the pan. Cook the chicken until golden brown and crispy on all sides, approximately 4-5 minutes. Transfer to a platter and repeat with remaining chicken. 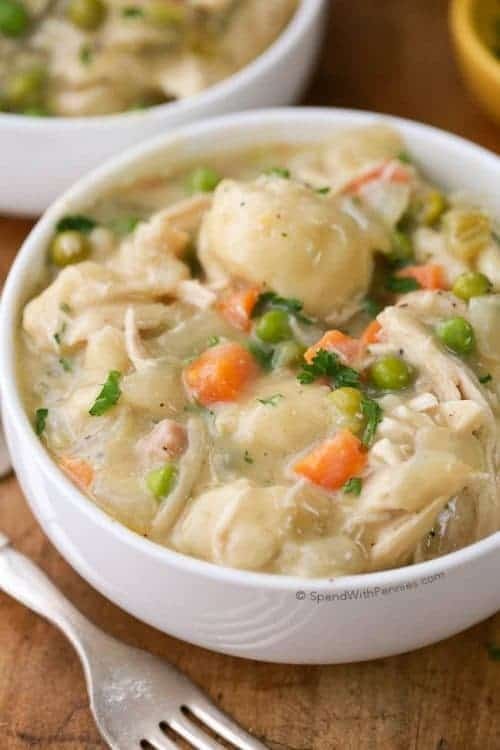 Once all the chicken is cooked, add the orange juice to the pan and cook for 1-2 minutes scraping the bottom of the pan with a wooden spoon to release the brown bits. Return the chicken to the pan and add the remaining teriyaki sauce. Bring the sauce to a boil and then remove from the heat. 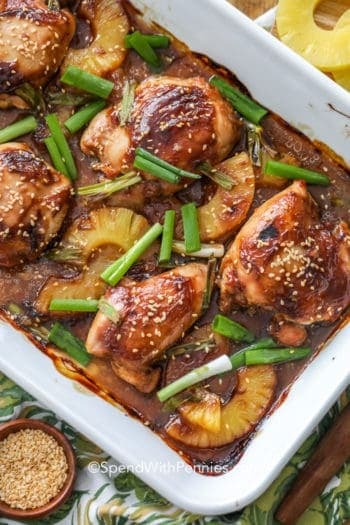 Top the chicken with the green onions and sesame seeds if desired. Serve immediately. 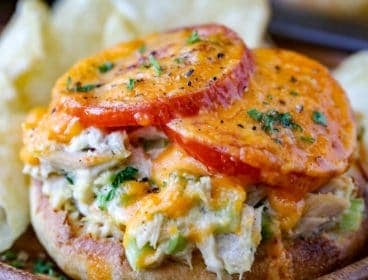 Kellie is the creator of The Suburban Soapbox, a food and lifestyle blog. 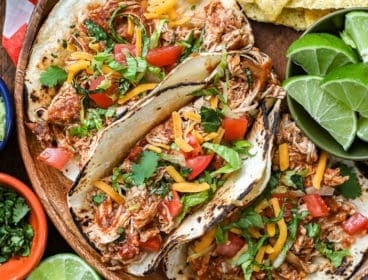 A busy mom of two and former marketing manager, she created her website as a way to share recipes and household DIY tricks with her corporate coworkers. 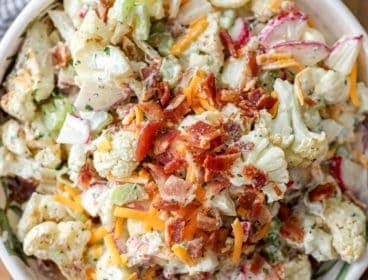 Kellie is always on a quest to consistently create the fastest, tastiest dinners that every family will love, even the pickiest of eaters. Her recipes are fool-proof and suitable for quick weeknight dinners and easy entertaining. 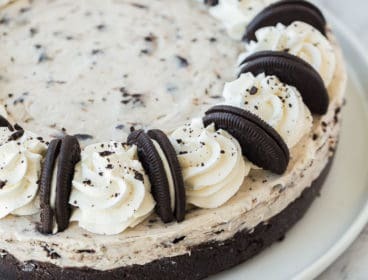 A lover of travel, wine, butter, chocolate and cheese (in that order), Kellie finds inspiration for her food creations just about everywhere she turns. 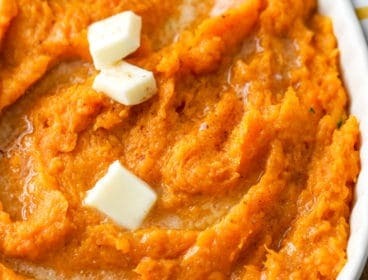 I love that your recipes are easy, simple to make, and delicious!!! What’s your favorite teriyaki sauce ? We love making our own Denise! 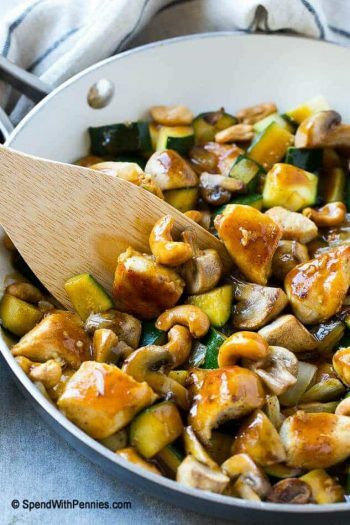 You can find more about our teriyaki sauce recipe here! Exclude the rice and use teriyaki chicken to make a homemade sub and save money spent on Subway. I’d do that from now on. Amazing recipe though. Would try with rice as well. That’s a great idea Samantha! Thank you for sharing!